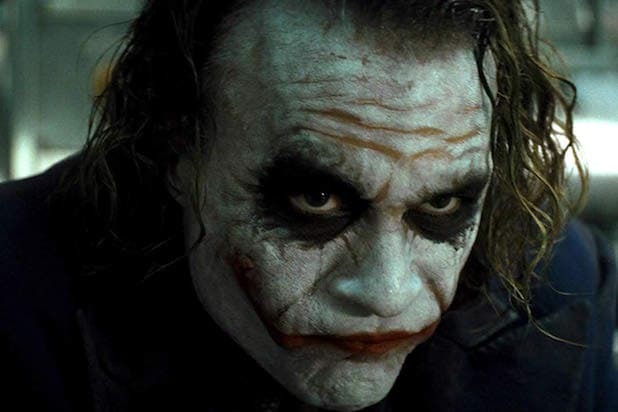 Characters with facial scars or disfigurements portrayed as villains is a movie trope that goes back generations, from Lon Chaney as the Phantom of the Opera to the James Bond villain Blofeld, and as recently as Kylo Ren in the new “Star Wars” movies. But the British Film Institute (BFI) is supporting a charity called Changing Faces and their new campaign called #IAmNotYourVillain by saying that they will no longer fund films via the National Lottery that feature negative representations of characters with scars or facial differences. Changing Faces is a U.K. charity that provides advice, support and psychosocial services to 1.3 million children, young people and adults in the U.K. with facial scarring, burns or marks. With their new campaign, they’re working to change the stigma associated with facial scarring in entertainment and media, and hope for a future where anyone with a visible difference on their face can be confident and have opportunities. They’ve also launched a short film along with the campaign and the hashtag, which you can find here. The BFI also recently funded Sacha Polak’s “Dirty God,” which was announced in competition for the 2019 Sundance Film Festival. A representative for the BFI told TheWrap that the film is “a fantastic example of authentic, empathetic and positive portrayal of visible difference and is about a woman putting her life back together after an acid attack.” The movie’s lead actor, newcomer Vicky Knight, is a burn survivor herself. Jon Voight won an Academy Award as paraplegic Vietnam War veteran Luke Martin in Hal Ashby's 1978 drama "Coming Home." Tom Cruise received his first Oscar nomination for playing paralyzed Vietnam vet Ron Kovic in Oliver Stone's 1989 drama "Born on the Fourth of July." Daniel Day-Lewis won his first Academy Award for portraying Irish writer and poet Christy Brown, who could only control his left foot due to cerebral palsy, in 1989's "My Left Foot." Jude Law played Jerome Eugene Morrow, a former swimming star paralyzed from the waist down after a car accident, in 1997's "Gattaca." David Huddleston as paralyzed millionaire Jeffrey Lebowski in the Coen Brothers' 1998 film, "The Big Lewbowski." Kenneth Branagh as Dr. Arliss Loveless, the ex-Confederate scientist villain in 1999's "Wild Wild West." Michael Weatherly as paralyzed journalist Logan Cale in "Dark Angel" (2000-2002). Craig Lamar Traylor as severely asthmatic and disabled geek Stevie Kenarban in "Malcolm in the Middle" (2000-2006). Patrick Stewart as Professor Charles Xavier in the "X-Men" franchise, which first hit the big screen in 2000. James McAvoy and Steven Robertson as Rory O'Shea and Steven Robertson, who suffer from Duchenne muscular dystrophy and cerebral palsy, respectively, in 2004's "Rory O'Shea Was Here." Rip Torn played paralyzed dodgeball coach Patches O'Houlihand in the 2004 comedy "DodgeBall: A True Underdog Story." Jason Ritter as paraplegic teen Kevin Girardi in CBS' "Joan of Arcadia" (2003-2005). Terry O'Quinn as John Locke, a character who became paralyzed during ABC's "Lost" (2004-2010). Sam Worthington as Jake Sully, a paralyzed marine in James Cameron's 2009 3D blockbuster, "Avatar." Kevin McHale currently plays paraplegic high school student Artie Abrams on Fox's "Glee." John Hawkes played Mark O'Brien, a poet paralyzed from the neck down due to polio, in 2012 drama "The Sessions." Francois Cluzet as quadriplegic Philippe in 2011 French comedy-drama "The Intouchables." DJ Qualls as Billy Nugent, a character who lives with paralyzing muscular dystrophy on FX's "Legit." James McAvoy once again plays a disabled character,Â Professor Xavier, in 2014's "X-Men: Days of Future Past."